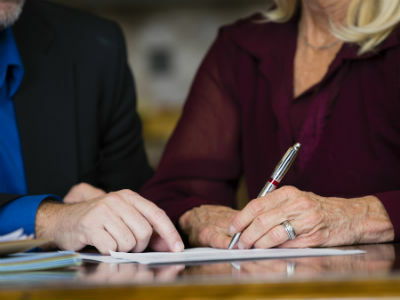 No matter how young or old you are, having a will is an essential part of estate planning. However, while it is one of the most important documents a person will ever have, research shows that almost one in two Australians does not have a valid will. Simply speaking, wills protect the assets you have worked hard to accumulate. And those assets may be worth more than you realise. Importantly, wills need to be updated frequently to ensure they always convey your current wishes. Your will states how you want your assets to be distributed when you die. It also says who you want to be responsible to carry out your wishes. Without a will, you have no control over what happens when you are gone. Dying without a will means you leave intestacy. Legally, you have not validly disposed of your assets. Rather than going to the people and/or organisations that you wish, your assets are distributed according to a legal formula. People you never intended to benefit from your estate may actually end up with part or all of your assets, purely because they are first in line under the legal rules. For many families, handling estates and assets while grieving is a daunting process. Without a valid will, the allocation of your assets can become very complicated and some family members may be prioritised over others despite your wishes to the contrary. According to the NSW government, 45 per cent of Australians either have no will at all or have a will that is not up to date. It’s recommended that your will be updated every five years or every time your family situation changes. This includes a new birth, a death, a marriage or a divorce. It also includes when you have any significant changes in financial circumstances. A will that has been signed cannot be altered. When changes are needed, it’s best to either make a new will, or add a codicil to the will, which is a separate document but must refer to the original will and must be signed and witnessed. A will is a legal document and there are certain requirements that need to be met when writing and updating it. The first thing to note is that the laws regarding wills differ from state to state. However, generally speaking, your will should contain information relating to the assets you have, any gifts you wish to give away, and who you want to manage the process. Assets should include physical assets, such as properties, cars and jewellery; financial assets, such as shares and bank savings; and any sentimental items that you wish to give to specific people. Your will should clearly outline where you want your assets to go. The other major legal component is naming an executor – the person who will be managing the distribution of your assets. This person needs to be over the age of 18 and someone you trust to make the necessary decisions. Their job is to locate the will, collect or pay any debts, safeguard all property and assets, obtain valuations for the estate, notify all beneficiaries, and then distribute your assets in accordance with your wishes. It’s recommended to have at least two executors. In terms of storing your will, it should be in a safe and secure place. There is no legal requirement to give your will to a lawyer or another official person to hold onto. As long as your executors know where to find it, you’re free to store the document wherever you feel is best. It may seem like a depressing job, but ensuring your will is signed and current will help ensure your wishes are respected and ultimately your family is looked after.